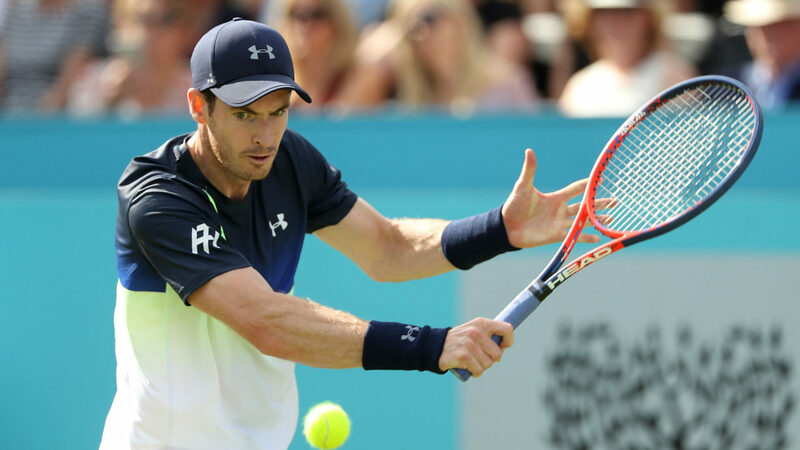 Andy Murray scored his first win of the season with a dominant performance against Stan Wawrinka in the first round of ATP Eastbourne, 6-1 6-3. Playing his first competitive match in nearly a year, the former British #1 put in an encouraging performance during his three-set defeat against Nick Kyrgios at ATP London last week, 6-2 6-7 5-7. Andy Murray, who accepted the wildcard to enter the main draw of ATP Eastbourne this week, has never played at this tournament in the past. Throughout his career, he has competed at ATP London and took a one week break before Wimbledon. During this one-year injury layoff, Andy Murray lost his world #1 as well as the British #1 position. On Wednesday, he will face the player who currently owns the British #1 crown, Kyle Edmund. During Andy Murray’s absence, Kyle Edmund carried the British flag and delivered some excellent results, such as reaching the quarterfinal at Brisbane, semifinal at the Australian open and final at Marrakech. Kyle Edmund lost his first round match at Eastbourne in his recent two visits (2017 and 2014). However, as the second seed this week, he got a first-round bye and will play his opening match on Wednesday. His only previous round of 16 appearance at Eastbourne ended in a straight-set defeat against Gilles Simon in 2013. Moreover, he lost his round of 16 match to Nick Kyrgios in ATP London last week. Andy Murray leads the H2h 2-0, but Kyle Edmund managed to put in a valiant effort in both of those matches. The three-time grand slam champion is not playing his best tennis at the moment, but he is still a difficult player to beat and will start as the favorite.